Roy Harper, aka Arsenal, is shooting back into The CW’s Arrow. 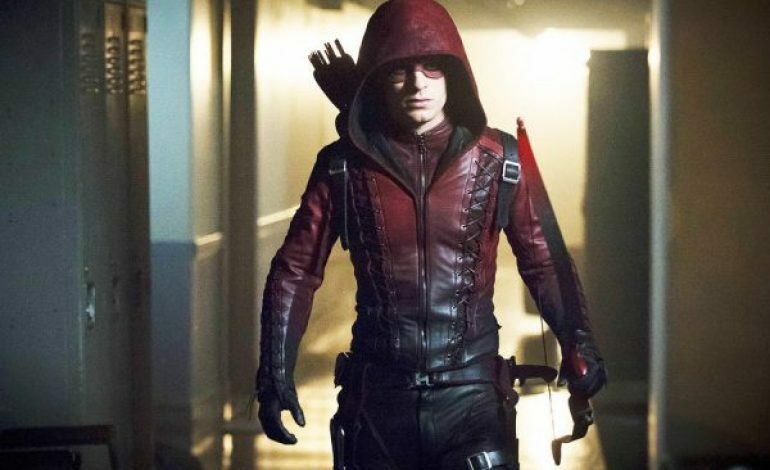 Reports today confirm actor Colton Haynes is set to be getting back into his red-hooded suit for Season 7 after departing from the DC comic book show at the end of Season 3. Haynes’ Arsenal joined Arrow in the second half of Season 1 and was a regular by Season 2, under a two-year-long deal. The actor left the show when his contract expired at the end of Season 3, according to Deadline; however continued to make guest appearances in Season 4. Since Arrow Season 3 ended in 2015, Hayes has continued to appear in MTV’s Teen Wolf and was also cast as Detective Jack Samuels in American Horror Story: Cult, Season 4 of the FX series. However, the actor seems to be most happy to be rejoining his comic book cast mates. “I could not be happier to return to my role as Roy Harper alongside my Arrow family,” he said. Earlier this month The CW announced the renewals of several shows in the Arrowverse – The Flash, Supergirl, Legends of Tomorrow, and Black Lightning.